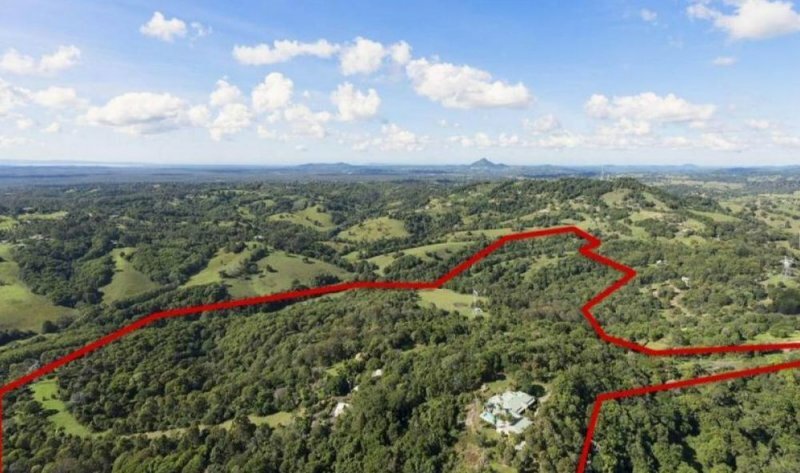 Elevated and with panoramic views of the surrounding Noosa Hinterland, this incredible opportunity provides a secure income from 3 holiday cottages along a separate private residence for yourself. All this is nestled amidst 38Ha of natural rainforest and woodlands making the land value alone well worth the price. However, the property is improved with 4 architecturally designed dwellings - fully furnished. Most weekdays the semi-retired owners find themselves kicking back enjoying the quiet amenity and the sounds of nature, yet their lifestyle hobby business generates enough income for them to live quite comfortably including many fringe benefits on the side. And whilst this is not a large return, it’s not much work either and thus provides a slow pace of life that other accommodation businesses don’t. In fact the cottages could be a completely passive return if setup as permanent rentals. Therefore, this opportunity is absolutely perfect for those seeking not only a tree change but a significant departure from the hectic pace of modern urban life. The cottages are 2 & 3 bedrooms, rather than just single B&B rooms which tend dominate the region. That is why the accommodation is popular with couples wanting privacy, families wanting space or those with pets simply wanting to take them away as well. With the cottages also being self-contained, they come complete with kitchens, bathrooms (some disabled friendly) patios and verandas with gas barbecues, private double carports, reverse cycle air con and even a laundry making it suitable for longer-term stays. 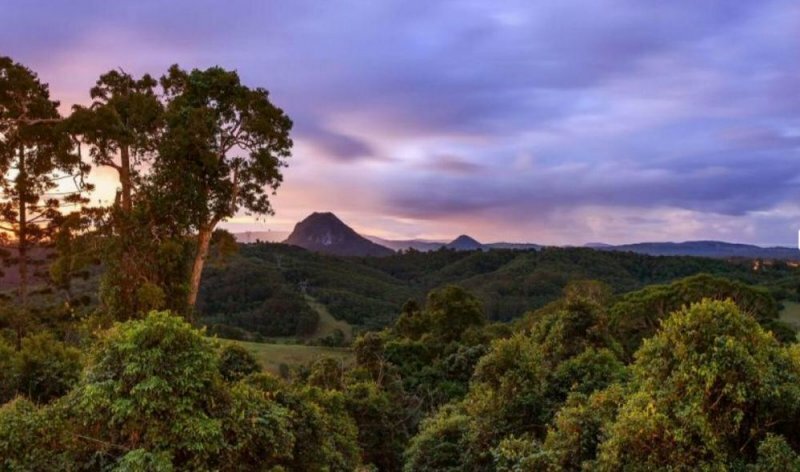 Guests have access to tropical gardens, 4km of private forest walks, trails, creeks, in addition to the closer rock ponds in the parklands area of the property. We feel that this opportunity lends itself to those looking for an exclusive wedding venue that can host ceremonies and provide accommodation to guests. Furthermore, the current approval permits two more cottages to be built allowing the potential to expand. 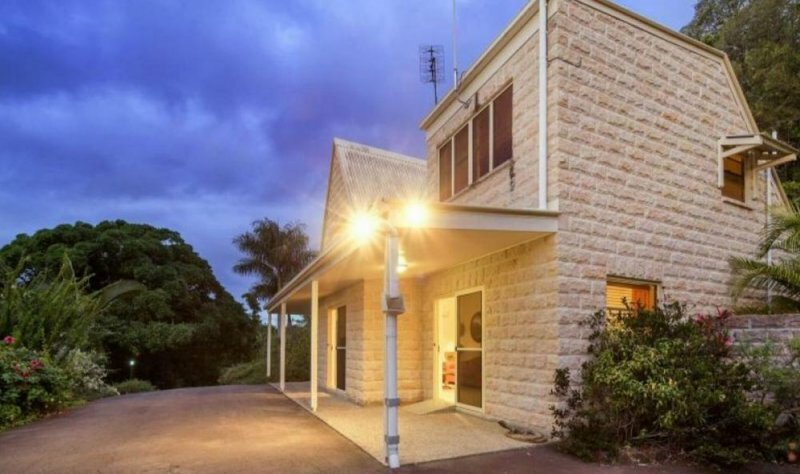 The main residence is a 293 sqm, 3 bedroom, 3 bathroom Federation style home with open formal living areas and a further 223 sqm surrounding veranda, double garage and carports, solar-heated pool and deck, all situated atop of your own private mountain with stunning hinterland views. 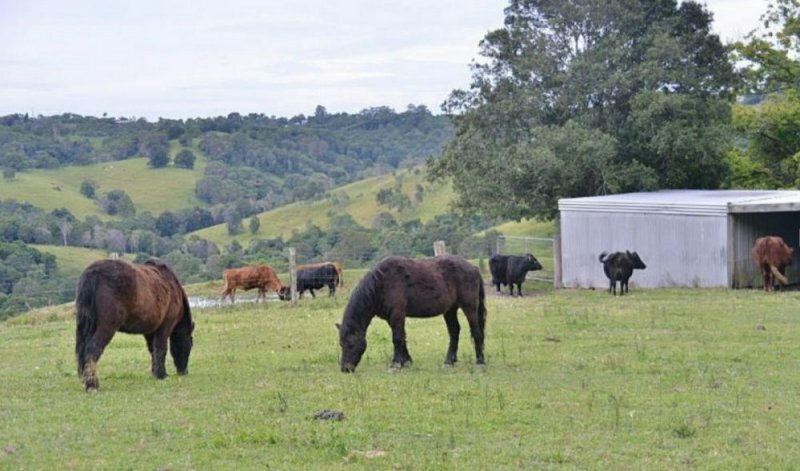 The property also includes 6 fenced paddocks - perfect for cattle and horses which they do own. There are 58,000 gallons in water tank capacity plus a bore and 6 dams making it essentially drought proof. Trip Advisor also think this place it pretty good after awarding them a Certificate of Excellence 5 years in a row based on guest reviews. They were also awarded the Greenleaders Silver certification in recognition of the cottages eco-tourism features. The whole lot is on offer as a package and considering the price is reduced from $3.2M to Offers Over $2.7M, now is the time to secure this awesome purchase. Inspections by appointment only. Reduced from $3.2M to Offers Over $2.7M. 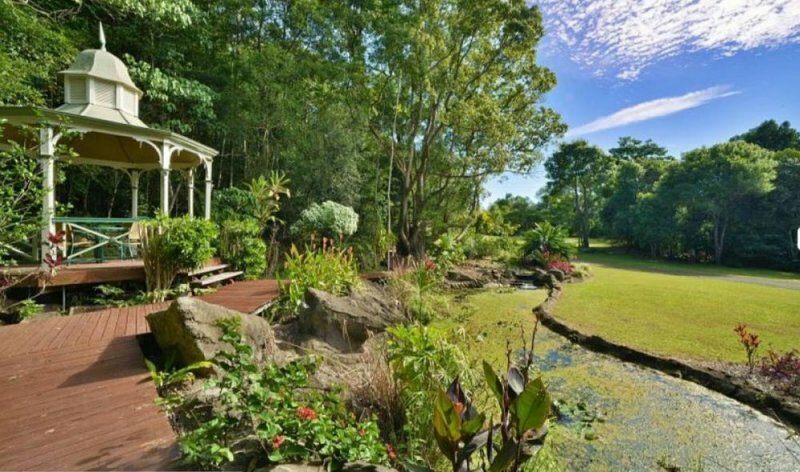 Possible wedding venue to the lucrative Noosa wedding market. Can host private ceremonies and provide accommodation to guests. Current approval permits two more cottages to be built.